IVC filters, designed to prevent life threatening pulmonary embolisms, actually have life threatening side effects. According to the FDA, leaving IVC filters in place long-term may cause dangerous, and potentially fatal, complications. Have you suffered as a result of a failed IVC Filter? There are numerous lawsuits pending against IVC filter manufacturers, including C.R. Bard and Cook Medical, on behalf of individuals and their families who have been hospitalized with an injury or suffered a wrongful death due to a failed IVC filter. Many of these legal claims cite negligence, failure to warn, poor design and manufacturing defects on the part of the manufacturers. The Nash & Franciskato Law Firm is accepting IVC filter lawsuit claims. Contact us immediately to discuss your situation. Our knowledgeable staff is available at (877) 284-6600. Do IVC Filters Make a Difference? A new study published in JAMA Surgical suggests that IVC filters may not help people who are at risk of dangerous blood clots to improve their chances of survival. Read the full post. IVC Filter Lawsuit Update, October 21, 2016. Find out what’s happening with IVC filter litigation. NBC News speaks with Dodi Froehlich, a woman who suffered multiple traumas after a car accident, putting her at high risk for blood clots. As part of her treatment, an IVC device (the Recovery) made by C.R. Bard was implanted to prevent potential clots. Missouri IVC Filter Wrongful Death Lawsuit Against C.R. Bard, On September 28, 2015, a wrongful death lawsuit, filed by a St. Louis woman, alleges that her husband’s death was due to complications with a Bard IVC filter. Blood clots that develop in the veins of the leg or pelvis occasionally break up and large pieces can travel to the lungs and heart. Inferior vena cava filters, also known as IVC filters, are cage-like devices that are designed to prevent clots from traveling through the vena cava vein to these organs. Studies have shown that these filters can potentially break into pieces causing life-threatening complications that can result in strokes, embolisms and death. 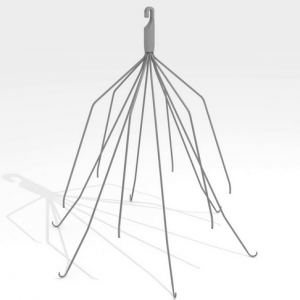 The Western Journal of Emergency Medicine has calculated that 40% of all IVC filters will fracture within 5.5 years. If you have an IVC filter implanted, it is recommended that you check with your doctor to determine the brand and whether it should be removed. In 2010, the FDA issued a safety communications warning regarding retrievable IVC filters. The FDA’s warning stated that hundreds of adverse event reports had been received since 2005 and that the filters posed risks of filter fracture, device migration and organ perforation. The FDA went on to recommend that implanting physicians and clinicians responsible for the ongoing care of patients with retrievable IVC filters consider removing them when the patient no longer needed protection from pulmonary embolism. The FDA updated its safety communication on May 6, 2014 with recently published research; however, no new safety concerns were added to this update. The FDA recommends that if an IVC filter is implanted in a patient, the device be left in only until the risk of pulmonary embolism subsides; then the device should be removed to minimize risk to the patient. When you have been harmed by a medical device, you need legal advice from attorneys who know how to hold negligent manufacturers responsible. Contact us today for a free, no-obligation case evaluation. When your health is at stake, we are here to help.